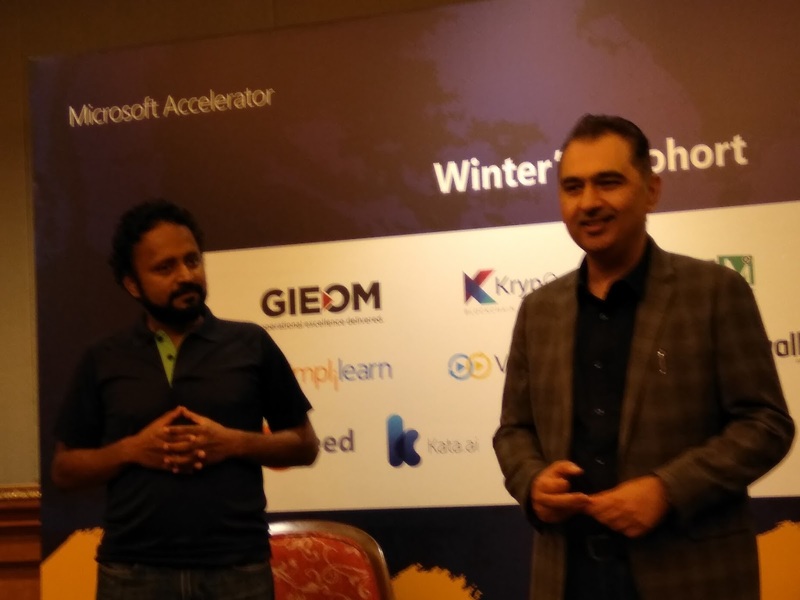 As the 11th cohort of Microsoft acceleration programme marked its graduation on the semi-annual conclave ThinkNext 2018, Microsoft Accelerator announced its partnership with Accenture Ventures. The two companies will help growth-stage technology B2B startups boost their enterprise readiness and go-to-market strategy, and also assist them in achieving scale in national and international markets. The partnership aims to strengthen the startup ecosystem further. On ThinkNext 2016, Microsoft Accelerator had announced a similar partnership with another IT giant TCS. Unlike the previous partnership, the latest partnership announcement with Accenture Ventures will be more engaging, as both the companies share a common goal in this regard, said Bala. Technology and innovative solutions and scalability are two important parameters that both companies share, as part of the common goal. Under the partnership, Accenture Ventures will help in shortlisting startups for the Microsoft accelerator programme through referrals. Accenture will also provide mentorship to the startups and will actively participate in ThinkNext 2018. Leading the acceleration programmes of India’s startup ecosystem, Microsoft accelerator has so far incubated 130 startups in India, and over 750 startups worldwide. As Microsoft accelerator programme and Accenture Ventures are active in many other countries including Israel, and the UK, the US. The partnership if successful can be implemented in other countries where both share a similar chemistry with common goals, hinted Avnish.